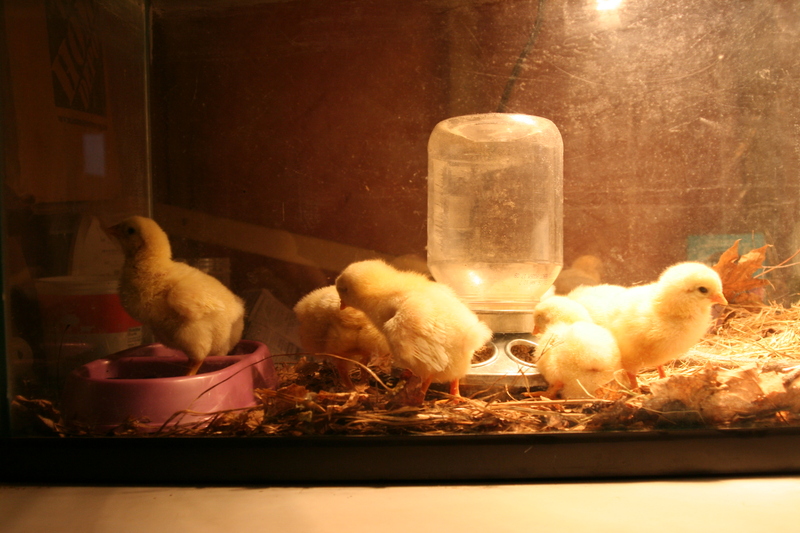 I put the chicks outside for a bit the other day- until it started to rain. It was their first time out. Some hid in the weeds, some tried to fluff themselves in a little dirt, but it was damp dirt so they couldn’t get in much of a dust bath. They mostly huddled in a corner and didn’t know what to do. Here’s their little colored heads so I can try to tell them apart. Not natural, but effective. I gave them worms this morning. The Chanteclers watch them, but won’t eat them or pick them up yet. The banties will pick them up, cause a chase, and eat them. I think they’re probably teaching the Chanties how it’s done! I took a long trip on Friday to pick up my dexter cows. 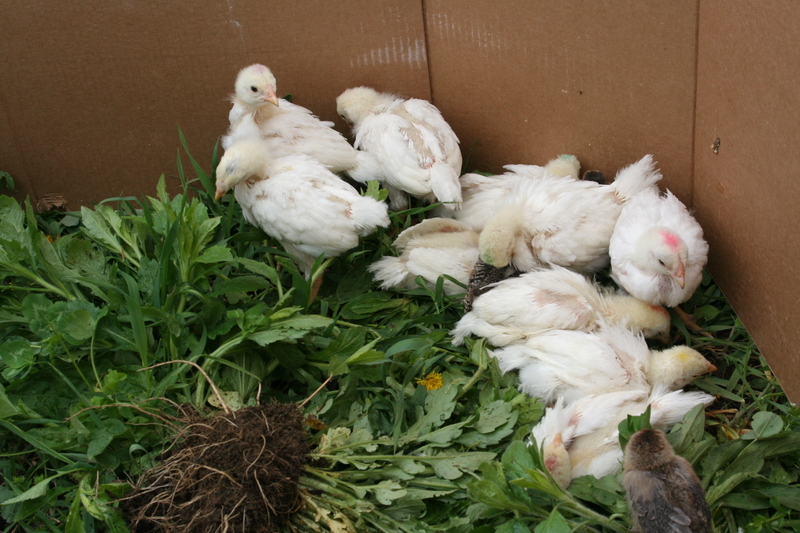 Saturday I had another long drive to pick up my white chantecler chicks. They cheeped at me all the way home, and have been doing wonderfully! Thanks to Kerryann at Tukswitt Farm for making a livestock delivery this direction! I got a bonus chick and ended up with 10 little peepers. Excitement at my house! At least for me. John’s just tolerating 😉 We’ve finally worked out our “deals” on what chickens I can get and how many. 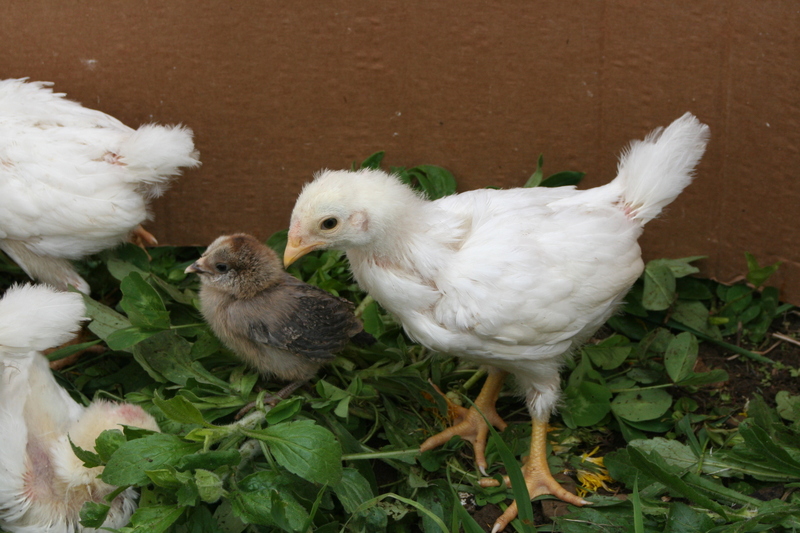 We’re getting 9 White Chantecler chicks from Kerryann at Tukswitt farms– we’ll be meeting her near Pittsburgh on April 23 to pick them up. 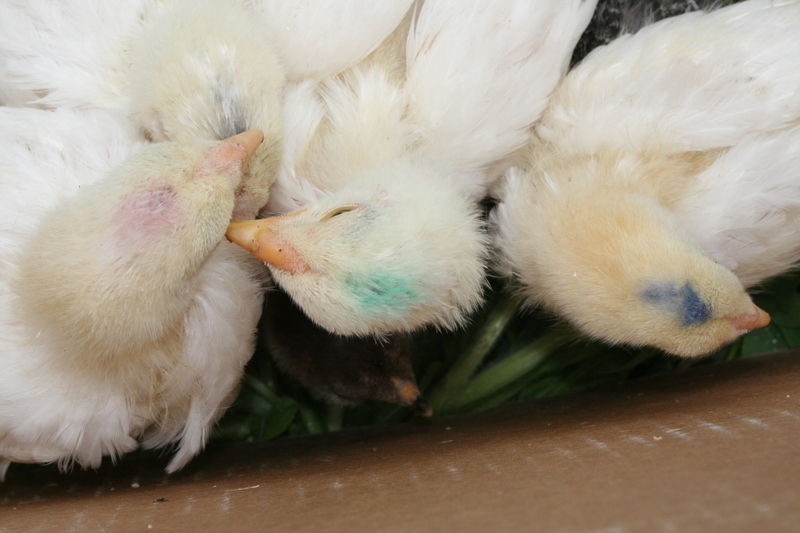 I’d also planned to do an order from Ideal hatchery to get some assorted Chanteclers for a little color- they allow smaller orders and send “warming chicks” to fill the box. John wanted me to find someone to split an order with so that we wouldn’t have to find something to do with the little packing peanuts. Unfortunately, over the course of the past week, everything went from available to sold out 😦 Guess I’ll have to remember to order VERY early from them if I ever want to try again! Enter the new option- “Ameraucanas.” I use the term loosely, as from what I’ve read, it’s hard to find true Ameraucana’s from the hatcheries. They’re mostly “Easter Eggers.” We’ll see how they compare to the standards, I guess. They are cold hardy, colorful, friendly, and have fun blue/green eggs (at least supposed to be) I decided to go bantam sized on these guys for a variety of reasons- less feed, maybe I can get a good broody hen to raise some more Chanty chicks under, and the kids may like them more since they’re smaller. I talked to the local feed store and will plan to order 6 with them sometime in April. I believe they’ll be coming from Stromberg’s hatchery. 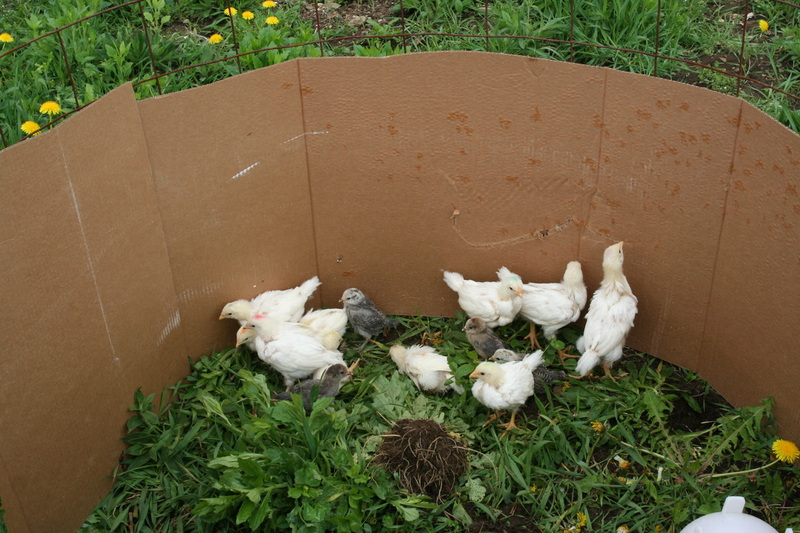 We also ordered the chicken wire that will go around the garden/chicken run. AND I found someone locally who thinks he can make the locust split rail fence for a reasonable price. I’ll be sure to take pics when we get it/get it put up. The fence will support the chicken wire and make it look a little nicer than just posts. So John is somewhat hesitantly letting me start with some chickens this year. The agreement that he could get a handgun if I got chickens apparently made it a workable deal. I’ve been researching my options for a while and decided I’d like to keep Chanteclers. They’re a dual purpose (Eggs and meat), cold hardy (actually developed in Canada), good foraging (less feed to buy! ), calmer disposition (not as flighty or prone to be aggressive), and heritage breed (listed at “critical” by the ALBC). So why not promote a little genetic variety with a bird that fits all my other wants? Okay- one problem- since they’re “critical” it means they’re a little difficult to find. I’m most interested in the White variety, although plan to get a few partridge, buff, and/or red to supply a little color to my homestead. I’d planned to go with Ideal hatchery and start with the colored ones, as the only hatchery that sells whites (Sandhill) requires a 25 chick order, and only 10 (now 15?) can be the white chants, which as of yesterday were sold out through mid-July. However, I ran across a Craigs list add and connected with a lady near Philadelphia who is breeding some. I wouldn’t make a 6-hour one way drive to get chicks, but she fortunately is coming to the Pittsburg area this spring with some other livestock and can deliver them there to meet me. Three hours one way for the bird I most want is worth it, especially since John and I can make it a date day and justify the trip a little more readily. This has all just developed over the past week, so I’m excited! 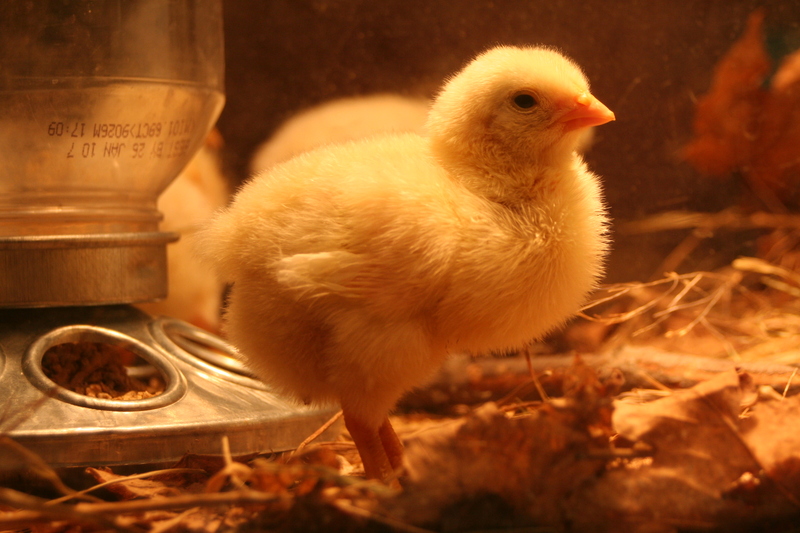 I was originally planning to wait until June to get chicks, but since some circumstances have changed, we should be starting with chicks the day before Easter. With that change, I think I’ll try to order my color chicks to arrive shortly after that so I can brood them together better. Another piece I’m hoping to add is a couple Khaki campbell ducks. They’re supposed to be small, good layers (rivaling the best laying chickens), good foragers, and good in the cold (and for what it’s worth, campbell ducks also make the list of animals in need of population support on the ALBC). I don’t necessarily need more eggs, but I’ve never had duck eggs and would like to try them. Ducks are also supposed to be a little easier on your garden spaces, as they don’t scratch up the ground. So I’d feel a little better about letting them loose in the garden side of my enclosed area to deal with some bugs. I’d thought about waiting and trying them some other year, but I’m thinking it will be best for poultry relations if I start my ducks and chicks together. Most of what I’ve come across in researching if they can be kept together says one of two things. One, they get along fine, but have been raised together. Two they don’t get along and had to be separated, but usually because one was added to the other. Dominance seemed to belong to whoever was there first, and the added one (duck or chicken) lost out.